When I was a kid, my dad used to buy Bordeaux futures and pull them out with much pomp and circumstance on special occasions. These bottles marked my vinous awakening. An evening of 1982 Cos d’Estournel and Léoville Las Cases was one of those seminal wine tasting moments for me; like the scene in “Amadeus” when Salieri describes hearing Mozart’s music for the first time. Unfortunately, I don’t get as many opportunities to drink top class Bordeaux these days, so when a tasting like the Union des Grands Crus de Bordeaux rolls through town, I am a happy gal. 70 of the most prestigious Bordeaux estates under one roof, pouring their 2012 vintage…definitely an event worth the trouble of wearing heels on an icy January afternoon. …definitely an event worth the trouble of wearing heels on an icy January afternoon. 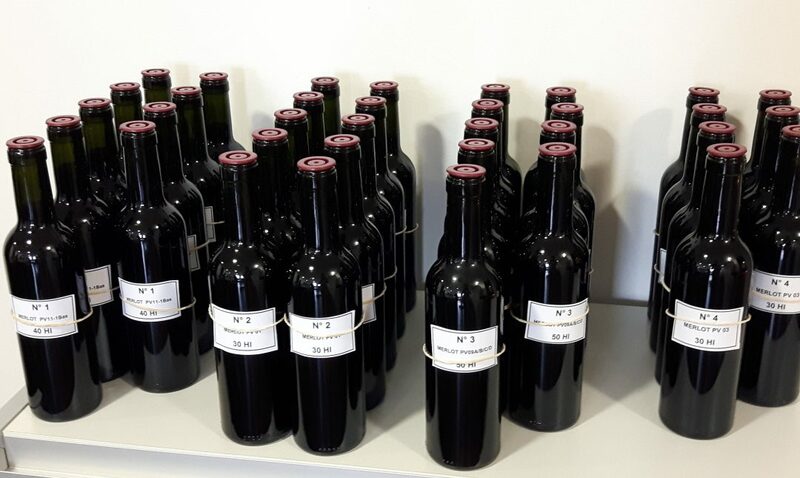 2012 was not an easy vintage in Bordeaux. It was late ripening vintage, with a hot spell mid-summer. Merlot dominant blends fared well, but ill timed rain early October wreaked havoc on the Cabernet Sauvignon harvest. Jancis Robinson described the vintage as “timorous” and Robert Parker’s vintage charts give all but Pomerol good, but not great scores in the high 80s. The SAQ invitation however hyped the vintage as fabulous though…so I thought I should check it out for myself. After all, the growers of the Union des Grands Crus never really have terrible vintages. They harvest in several passes, and carefully sort, ensuring only the ripest, healthiest grapes make the cut for the “grand vin”. The tasting area was organized as a walk-around tasting leading tasters from Graves, to Saint Emilion and Pomérol, and then back to the left bank for the Médoc and its famed crus. There was a good sized crowd of happy faces, sipping and nodding earnestly while the wineries spun their lustrous tales. I started with the whites. Péssac-Leognan, a top quality enclave within the Graves region, is reputed for its dry Sauvignon Blanc-Sémillon blends. Imagine the tangy acidity, and fragrant citrus, gooseberry aromas of Sauvignon Blanc, but with more weight, a creamy, layered texture and a smooth, oak-kissed finish. This is top Bordeaux blanc…summed up briefly. The 2012 did not disappoint. Château Smith Haut Lafitte was particularly stunning with enticing white floral aromas, vibrant acidity, a velvetty core and lingering, flavourful finish. The left bank reds were surprisingly approachable for such a recent release. The mid-summer warmth of the vintage is apparent in the bright, fruity aromatics and general lack of pyrazine (bell pepper) notes. The majority showed fresh, balanced acidity, smoothness, rounded tannins and well-integrated oak. Each appellation was true to form, with the Graves a little lighter and more delicate and the Margaux perfumed and silky. The power and depth of the best vintages is lacking in most, but for an early drinking option, 2012 seems to have a lot of charm. Château Gruaud-Larose was one of my top picks for its intoxicating cassis and exotic spiced nose and dense, brooding core. Château Phélan Ségur, Château Pichon-Longueville Baron, Château Léoville Barton and Château Brane-Cantenac were also heavy hitters. The majority showed fresh, balanced acidity, smoothness, rounded tannins and well-integrated oak. The right bank wines showed nicely; very smooth and polished. 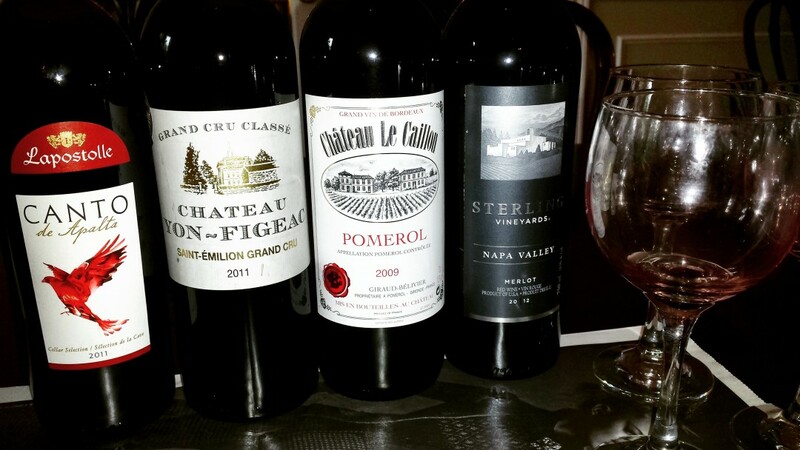 The Saint Emilion were a little more restrained, with attractive cassis and floral notes. The Pomérols really jumped out the glass though; brimming over with plum, red and black fruits, and spicy oak. The 2012 vintage offers the hedonistic pleasure of smooth, fruit-driven young wines and the tannin structure to age gracefully for 10 years or more. Château Canon, Château Le Bon Pasteur and Château Clinet showed very nicely. Sauternes was the only minor dip in the tasting. Sémillon is low in acidity at the best of times and with residual sugar regularly over 100g/L, Sauternes can easily become a little cloying. The range of aromatics on display was phenomenol. Château La Tour Blanche was redolent with tropical fruit, marmelade, honey and spiced notes. However, the acidity faded too quickly on the palate, leaving the finish mouth-coatingly sweet. 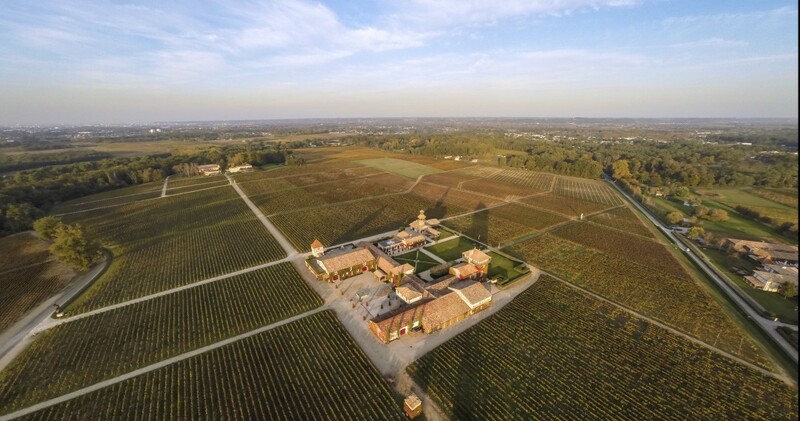 Smith Haut Lafitte is a leader in sustainable development for the Bordeaux region. This ultra-stylish white, from 50 year old vines, shows enticing white floral and grapefruit aromas, vibrant acidity, a creamy, velvetty core and lingering, flavourful finish. Situated in pride of place atop the famed limestone summit, Château Canon produces particularly elegant Saint Emilion. Highly complex aromas of plum, floral notes, blackberry and herbal undertones follow through on the palate. Fresh acidity, dense, juicy mid-palate and firm, polished tannins. The finish is long and layered, with hints of cedar. Fermented and aged in 100% new oak, this is a potent Pomerol with an intense raspberry, cherry, plum and spicy oak fragrance. Fresh and full body, with a smooth, rounded mouthfeel, firm, chewy tannins and a persistent, creamy finish. From the highest elevation of the famed Pomerol plateau, Château Clinet combines power and finesse. Attractive plum, cedar and black cherry on the nose, with a juicy, full bodied palate. Firm, grippy tannins provide a solid framework. The finish is fresh and long. An opulent style of Margaux, with heady floral aromas, underscored by ripe black currant and black cherries. The full-bodied palate shows lovely balance and poise; with vibrant fruit providing lift through the mid-palate. Aged 18 months in 70% new French barriques, the oak provides structure and a creamy texture without overpowering the fruit. The medium weight, polished tannins frame the long finish nicely. “The King of wines; the wine of Kings” is the motto of this renowned estate, dating back to 1725. This was definitely my feeling when tasting the elegant, highly complex 2012. Fragrant aromas of exotic spice, black and red currants, cedar and violets spring from the glass, gaining in intensity upon aeration. Powerful and brooding, with dense, concentrated layers of rich berry fruit and spice. and ripe, fine grained tannins. Lovely, fresh flavours linger on the beautifully persistent finish. Heady and stylish, with attractive aromas of mint, saffron, black fruits and floral undertones. Bright acidity leads into a full-bodied, dense core, with lots of juicy, black berry fruit and firm, fine grained tannins. The minty notes return on the finish, mingling with the cedar oak on the long, vibrant finish. The high percentage of Cabernet Sauvignon makes this a bolder, more structured style of Saint-Julien. 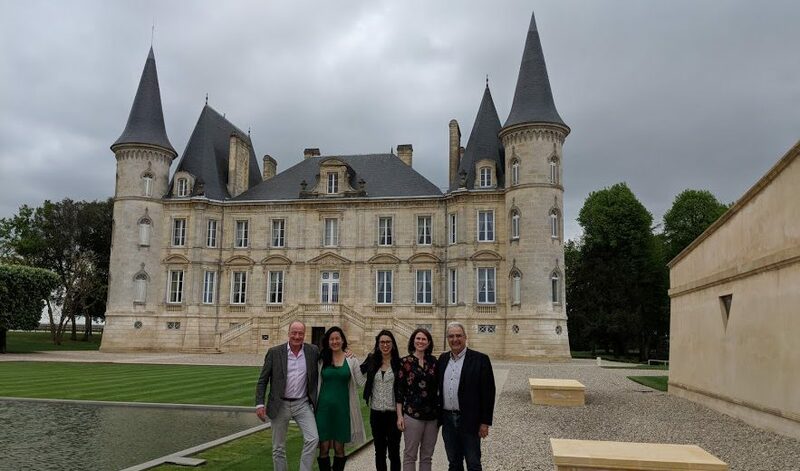 Only 40 of the 73 hectares that make up the Pichon-Longueville Baron estate are deemed fit for the “grand vin”. A further strict selection is carried out during blending, ensuring that only the finest quality barrels make up this cuvée. The 2012 offers classic Pauillac aromas of cassis, cedar and graphite, with a touch of bell pepper. Very firm and powerful, with big, grippy tannins and a medium length cedar-scented finish. Phélan Ségur, with its fleshy Merlot character and enticing mineral notes, is always an attractive example of Saint-Estèphe. The 2012 doesn’t disappoint. The nose is sweet and perfumed, brimming with red and black fruit, violets and earthy minerality. Very harmonious and smooth on the palate; the full body is off-set by bright acidity, a concetrated, fruit-driven core and firm, chewy tannins. Glorious exotic notes of mango, pineapple and passion fruit overlay botrytised notes of honey and marmelade. Lively acidity on attack, that falls just a touch flat on the finish. High viscosity, lots of juicy, exotic fruit and subtle, vanilla notes on the medium length finish. Merlot was a favourite, in many countries, for many years. There is really little not to love about it. A common description would read: red berry and plum aromas, moderate acidity, smooth texture and soft tannins. Sounds good, right? Then, in 2004, an Indie film about a (fairly annoying) anxiety-ridden wine snob who detests Merlot and lives for Pinot Noir hit the big screen. The movie was called “Sideways”. Since then Merlot sales have plummeted in North America while Pinot Noir has gone through the roof. It seemed like a fad at first, but 11 years later it is (sadly) still cool to say that you don’t drink Merlot. This drives me crazy. I would like to take all the haters out there and make them blind taste a whole slew of Merlots…from Bordeaux, from California, from Chile. I am convinced that they would change their tune after a couple of sips. Merlot does not simply boil down to fruity, round and easy-drinking. The grape is planted around the world, from Bordeaux to Chile to California and beyond. It is the most planted red grape in France. Depending on where it is grown, the care taken in the vineyard and the vinification techniques employed, the wine can be very different. In cooler climates like the right bank of Bordeaux, Merlot takes on earthy aromas, has fresh acidity, a weightier structure and more firm tannins. It is often mistaken for Cabernet Sauvignon, though generally has riper fruit aromas and a fleshier, broader mid-palate. In warm climates, such as the Napa Valley, Sonoma or Paso Robles in California, Merlot is more voluptuous with rich, fruit flavours, a velvetty texture and soft tannins. It is a grape that can handle oak (in measured doses); taking on a richer texture, more firm but well-rounded tannins. Most people consider Cabernet Sauvignon to be the major grape of Bordeaux, but there is actually significantly more Merlot planted. On the left bank, Merlot is blended with Cabernet Sauvignon to act as “the flesh on Cabernet Sauvignon’s bones”. On the right bank, Merlot is the dominant player, usually with Cabernet Franc (Merlot’s father) in the supporting role. The clay and limestone-rich soils of Pomerol and St. Emilion are what Merlot loves. Pomerol is the smallest appellation in Bordeaux, with only 800 hectares under vine. It is also home to the most sought-after, expensive Châteaux. Its best wines are described as powerful, opulent, and even decadent. St. Emilion is one of the largest wine producing regions of Bordeaux. There is a diverse array of soil types, and consequently, a wide range of wine styles from elegant and light, to richer and more concentrated. Beautiful minerality is a feature of top St. Emilion estates planted on the limestone slopes. Merlot is the third most planted red variety in Chile. The Colchagua Valley, the South-Western half of the Rapel Valley region, is gaining increasing attention for the high quality of its Merlot. Cooling breezes from the Pacific Ocean temper the warm Mediterranean climate and give the wines elegance, vibrant acidity and bright, red fruit flavours. Apalta, which stands for “poor soils” in the local dialect, is one of the best vineyards in the area. The low fertility soils force the vine roots to dig deep and produce wines with excellent depth of flavour and good tannic structure. Despite waning interest for the grape, there are still substantial Merlot plantings throughout California. In the Napa Valley, Cabernet Sauvignon generally gets pride of place on the slopes. Merlot is often planted on the hot valley floor, where its intense red berry and plum aromatics, and smooth texture, make it the perfect blending partner to soften Cabernet lead blends. There are however a number of serious producers making excellent Merlot dominant wines, with lush, hedonistic profiles. For the purposes of this initial overview tasting, I chose examples from the following producers (What do VW, PW and LW mean? Click on my wine scoring system to find out). Unfortunately it was impossible to find anything other than very entry level Chilean Merlot at our dear liquor boards (sigh…), so I had to settle for this blend. Though settle is a poor word, as it is lovely. Inviting black cherry, cassis, menthol and spiced aromas, very fresh on the palate with a full, velvetty frame, marked but balanced oak and alcohol. Only moderate length and complexity, but worth the price. This sustainably farmed estate is hailed for its consistent quality even in mediocre vintages such as 2011. Restrained notes of tobacco, cedar, red berries and kirsch on the nose. Dry, medium-bodied though somewhat lean in structure with fine grained tannins, subtle oak and an attractive tobacco dominant finish. Situated on the iron-rich clay soils of the plateau of Pomerol, this tiny 7 hectare estate is organically farmed. Understated yet complex palate of aromas including animal notes, plum, red berries, menthol and cedar. Vibrant acidity, full-bodied with moderate alcohol, firm but ripe tannins and well integrated oak. Lacking some richness and fruit expression considering the vintage. Merlot is grown here on the valley floor, on deep rooting, volcanic stone soils. Heady aromas of sweet cherry, baked plum, eucalyptus and floral notes. Smooth, full bodied and velvetty, with toasty oak and a sweet, red berry finish. Big and bold, with just enough acidity to maintain good balance.